February is Random Acts of Kindness month. So appropriately Kindness is the word of the month! Read on about how we can act in kindness and spread good vibes every day. It's Monday morning, it's raining, you spilt your coffee, dropped your car keys in a puddle, and it's not even 9am yet. But a stranger on the street sees you struggle, and picks up your keys, wipes them off, and wishes you a good day. It was a small act, but completely turned your day around. It is easy to react negatively when we are annoyed or frustrated, and all too often, kindness takes a back seat to self-interest and selfies in this 'me' world we live in. But it is situations like this that give us the opportunity to act in kindness and create a ripple effect across the world. "Kindness is contagious - spread it around everywhere you go." 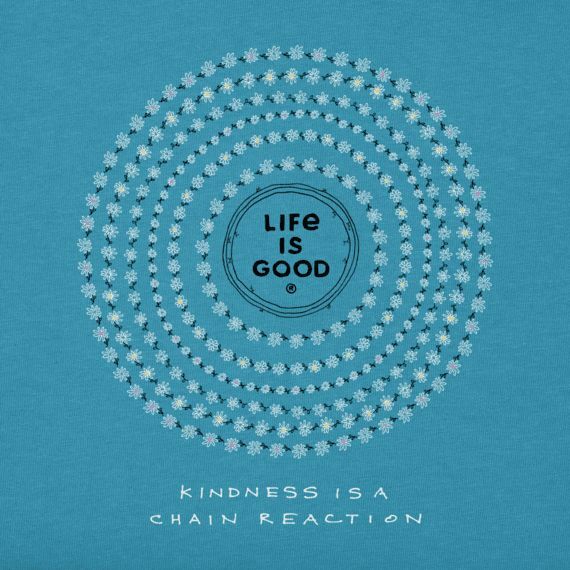 Kindness is a chain reaction. When we perform an act of kindness, not only does it impact the people who witness it by improving their mood and making them more likely to reciprocate, it improves our own health and wellness, by making us feel good about our actions. When we perform an act of kindness, multiple things happen. Kindness activates the reward centre of the brain, making us feel good about our actions. It also releases serotonin in the brain which is linked to boosting mood and calming negative feelings. Finally, the hormone oxytocin is released, lowering heart rate and increasing self-esteem. "If your kindness does not include yourself, it is incomplete." But kindness isn't just about helping others. It is important to extend kindness to ourselves. Many of us put others ahead of ourselves, especially women. We are conditioned to think that taking care of ourselves is selfish, but nothing could be further from the truth. When we take care of ourselves first, we are demonstrating that we recognise our own self worth, and thus present a better version of ourselves to the world. We are given multiple opportunities every day to perform small acts of kindness - don't save it for big acts. As Ellen Degeneres says every day, "be kind to one another." Watch for those everyday situations to act in kindness and spread good vibes.